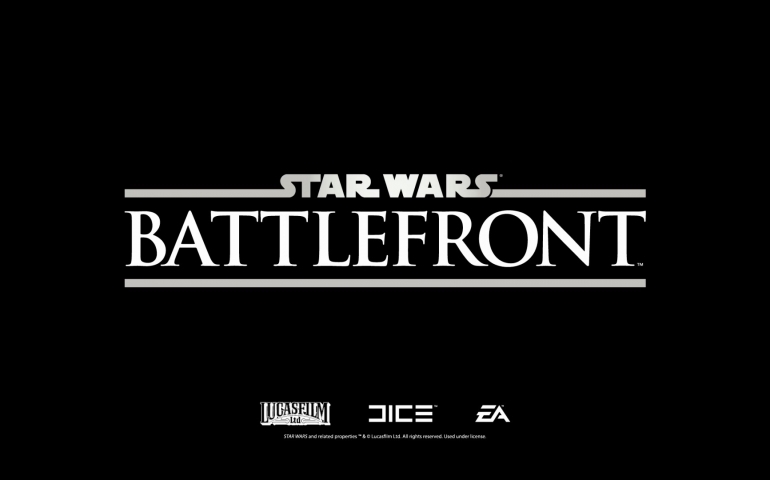 After ten years, game developer DICE is releasing the latest video game in the Star Wars series called “Star Wars: Battlefront”. The first game in the series, also named “Star Wars: Battlefront”, was released in 2004 by LucasArts Studios. The gameplay was a new revelation to a “Star Wars” game of any sort. For the first time anyone could play the iconic battles from the beloved movie franchise, as well as battles that were made specifically for the game. It was a hit and became the best-selling “Star Wars” game of all time. It was eventually followed by the much improved upon sequel, “Battlefront II”, in 2005. A third game went into development but was eventually cancelled. The 2015 version of the game is a fully-realized “Star Wars” experience. The game looks beautiful. While playing, the gamer feels fully immersed in the worlds they are playing in. One of the hardest things to do in any visual art form is to make barren wastelands look gorgeous. This game accomplishes that feat with the ice planet Hoth and the rocky landscape of Sullust. There are a number of differences between the newest installment and the previous two. The first notable difference is the lack of classes in the game. In the first two games, there were four to six different classes with a certain specialty for each one. In the 2015 game the soldiers are all identical, but instead of changing classes, players are able to change weapons and equipment after dying and re-spawning. The next huge change is the lack of command posts. Before, the ultimate goal was the same for both factions: capture all the command posts (re-spawning areas) or eliminate all the enemy soldiers. It’s completely different in the new game. Here, the Rebel Alliance is trying to bring down the Imperial AT-ATs, while the Empire’s forces are trying to get to a certain point. One thing that is the same is the use of flying vehicles. With that said, this is by far the hardest aspect of the game. Unlike the second game that made flying much more accessible to all players and introduced battles in space, the handling of the vehicles is harder to grasp and much more sensitive to touch on the controller. The game does balance out the difficulty of flying with the ease of controlling the land vehicles. Manning the the Imperial AT-ATs and AT-STs is really simple and the second most powerful aspect of the battlefield. The most powerful aspect of the game are the heroes used. Luke Skywalker and Darth Vader wreak havoc on the enemy team anytime they are on the battlefield. The sixty-second time limit is only expanded when a player dispatches another. It is much better executed here than in “Battlefront II”, where playing as the hero was the same as entering “god mode” in any other game. Now here is the main difference between all three games: in the previous games, vehicles are just waiting to be jumped in, certain weapons and equipment belong solely to one faction of soldier and heroes could not be played with at all (“Battlefront I”) or had to be earned by acquiring points (“Battlefront II”). In the new game, vehicles, weapons, equipment and even heroes are picked up by little icons scattered throughout the landscape. With all these factors, I believe that the new “Battlefront” is a ton of fun. It is much more difficult than the other two games. The handling of the vehicles differ from incredibly hard to use to incredibly simple. Keep in mind it is the beta test I reviewed. Hopefully a few more things can be tweaked, and the final game will be as incredible as it has been built up to be. Personally, I believe that this is the second best game in the franchise, ahead of the original and behind “Battlefront II”. I give the game a rating of 7.5 out of 10.